Crop tops are back in a big way, and with temps soaring, they’re great for staying cool, chic and on-trend for summer. Whether you’re showing an inch of your torso or flaunting your navel, crop tops are a versatile sunshine staple that offer measureless midriff moments! Read on for our crop top outfit ideas! 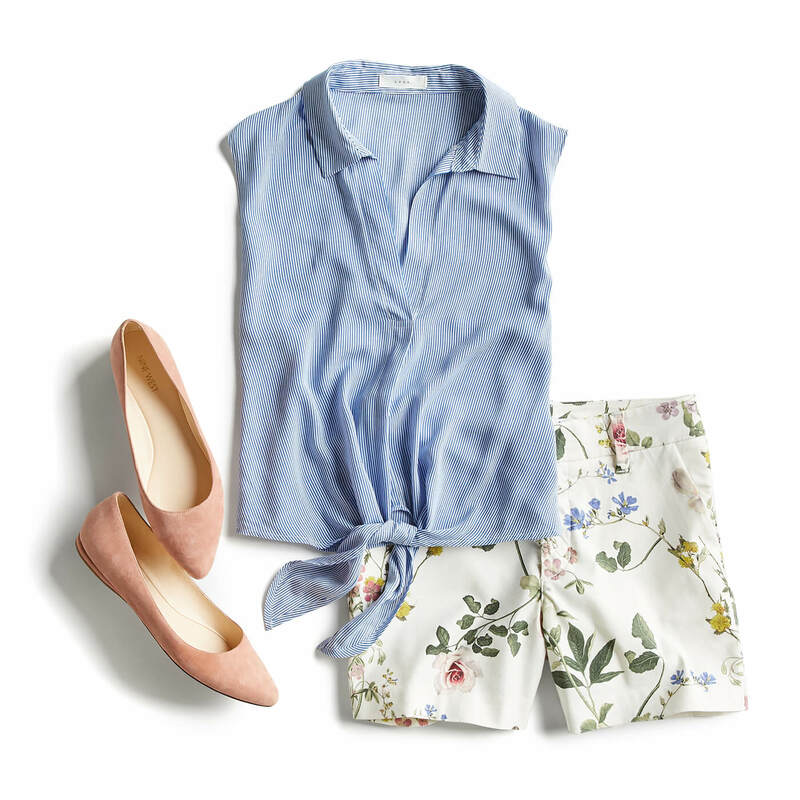 Whether you’re brunching or beaching, marry a tie-front crop top and high-rise printed shorts. Finish this look with embellished slides and a layered coin-detail necklace, and you’ll be looking like a midriff maven. 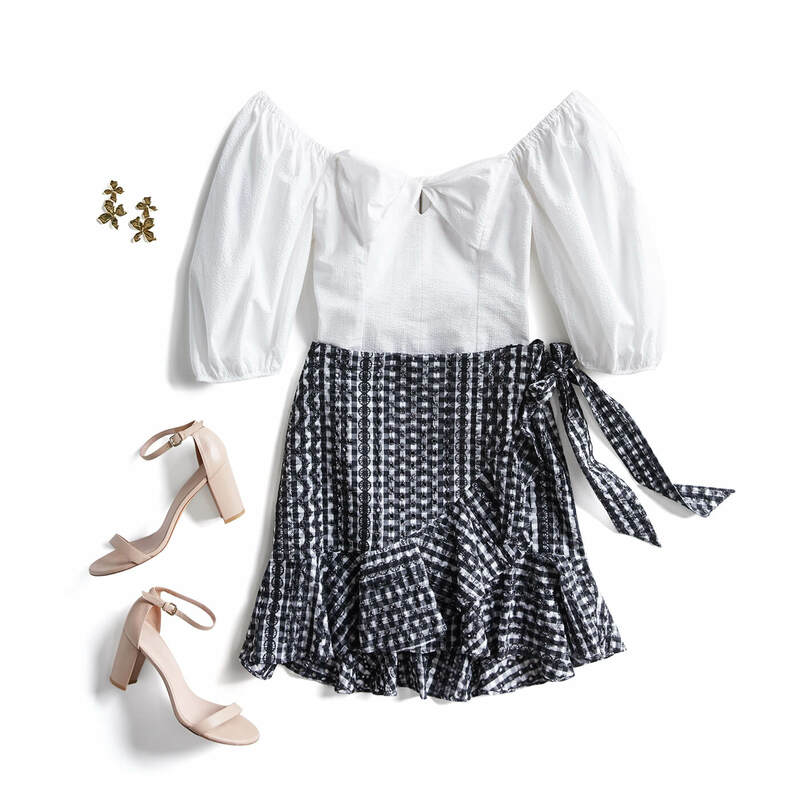 For date night done right, couple a cold-shoulder crop top with a flirty skirt. Complete the look with strappy stacked heels and a feminine floral clutch, and you’re sure to dazzle your date. Let loose in a smocked off-the-shoulder crop top with sleek leather skinnies. Accessorize with pop-of-color pumps, a trendy belt bag and funky fringe statement earrings. If you need a closing-time coat, consider a plaid boyfriend blazer or printed bomber. Grabbing drinks with the gal pals or a hot date tonight? 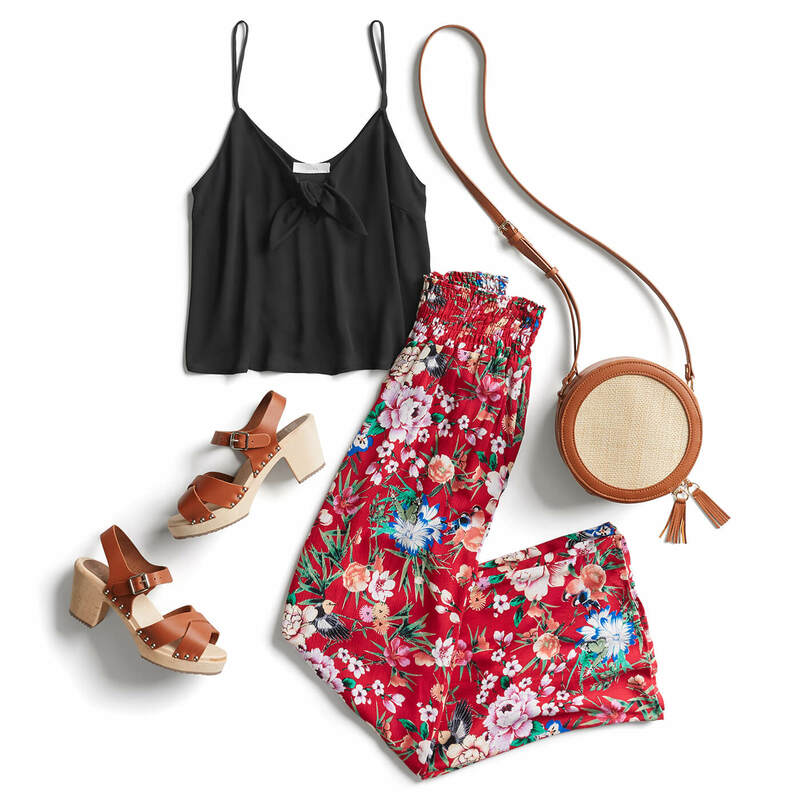 Pair a crop top with high waisted pants or jeans for an easy, but casual crop top outfit. Complete the look with sandals and a denim jacket, especially if you’re drinking al fresco.